One Click launched April, 2015 and will be rapidly adopted as our Android podcasting app partners update their Android Podcast Applications. What is One Click? It is just as it sounds.. Finally Android Listeners will be able to One Click subscribe to podcasts. One of two actions will occur when you implement One Click on your website. If the listener has a one click supported app on their mobile phone the App will automatically load and the listener will subscribe. If they do not have an app they will be sent to your personalized SubscribeOnAndroid.com page. Your show info and Album art will be displayed and below that will be list of One Click enabled applications of which the listener can install and start enjoying your show. Podcasters using PowerPress only have to activate the subscribe widget on their sites sidebar to implement One Click Protocol. Podcasters that do not use PowerPress can use the embed code they build by submitting their Podcast Feed URL found on the SubscribeonAndroid.com home page. 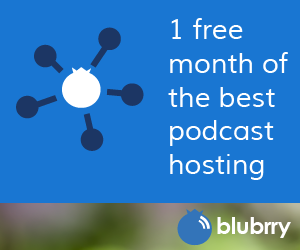 The main goal of Subscribe on Android is to assist listeners with subscribing to podcasts on Android. The site has no advertisements, players, etc…, nothing to distract the listener. The site has only one goal, One Click subscribe on Android. Help us spread the word on One Click Subscribe on Android so that we can get all Android apps to support the protocol to further build your Android audience.